Erin and Brad were unstoppable on their wedding day. It may not have felt like it to them, but it's the truth. For us the most memorable part of their wedding day wasn't just that it rained, but how they handled it with such grace. Erin and Brad had their wedding and ceremony at the beautiful Stone River. Every detail was perfect, and had so much of Erin's personal charm thrown in that they had a guaranteed hit right from the start. I think a brides worst fear is either tripping going down the isle OR it raining. 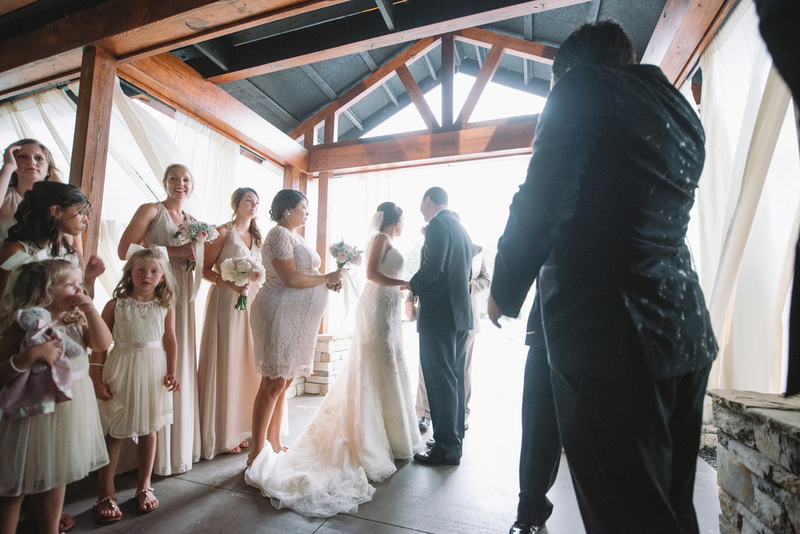 As the wind picked up, and the rain started falling right in the middle of the ceremony, there was simply a quick change where everyone in the bridal party and family moved to the shelter of the pavilion, and kept on going. 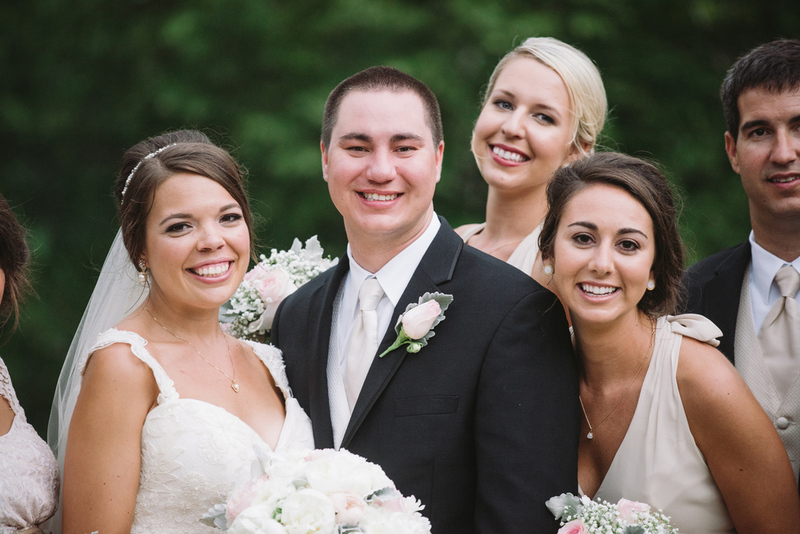 No tantrums, only a little chaos, and lots of big smiles from everyone made for a flawless ceremony. It was a beautiful day filled with so much love.